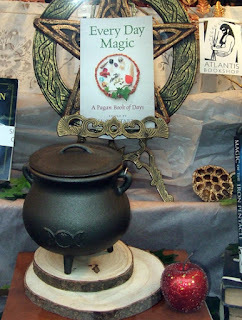 It is exactly a week until the official publication date for the new book I edited - Every Day Magic - A Pagan Book of Days. However, some shops already have copies in stock including The Atlantis Bookshop, at 49A Museum St, London WC1A 1LY, and Treadwell's Bookshop, at 33 Store Street, London WC1E 7BS. Every Day Magic - A Pagan Book of Days contains 366 spells, rituals, meditations, Pagan prayers, divinatory techniques, poems to read and recipes and craft projects to try out, along with the details of festivals that take place throughout the year. All the activities are intended to be easy to follow so you can pick up the book, open it to a day and find something you can do. 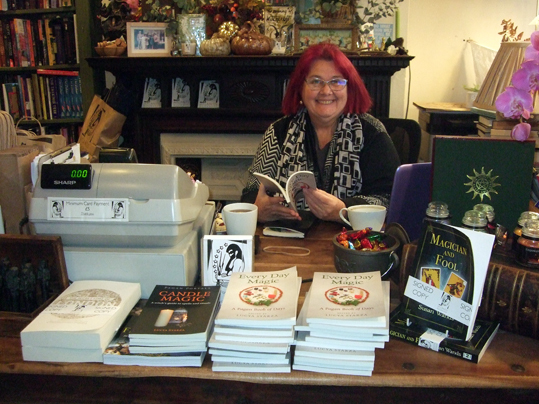 There are contributions from nearly 50 pagan authors and practitioners from many different traditions across the world, including Atlantis' Geraldine Beskin (pictured at the top), best-selling pagan authors Ellen Evert Hopman, Melusine Draco, Harmonia Saille, Rachel Patterson, Caroline Wise, Elen Sentier and other Moon Books writers. 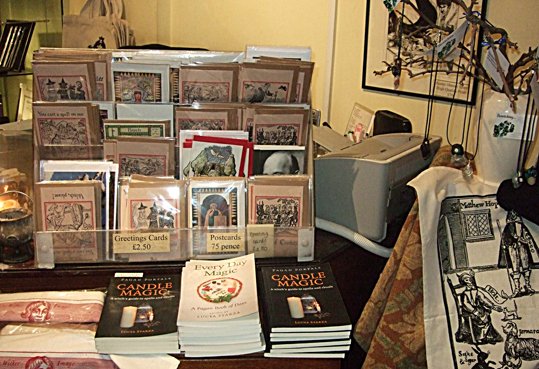 The pictures on this post show Every Day Magic on sale in The Atlantis Bookshop, a copy in the window of The Atlantis Bookshop and copies on sale at Treadwell's. You can also view and pre-order Every Day Magic at Amazon - in the UK, copies should start to be sent out from Amazon on 24 November, which is the official launch date.